Yesterday it was emotional day for most Nokians all over the world after acquisition announcement between Nokia and Microsoft. Actually, yesterday morning, I'm in the middle of SDLC training at my office and then received a message from Prasetyoh (nokianesia team), he said that Micrsoft will buy Nokia mobile & services division, patents and mapping service. First of all, i'm not believe that news, but when i checked my timeline, yes it was true. I've no ideas about what will happen with Nokia as a brand in next year(s) after the acquisition complete. 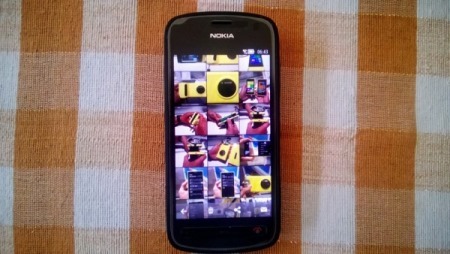 According to The Verge, "There will never be another Nokia smartphone" and Lumia and Asha are belong to Microsoft also. You can read carefully that post. We and all fans should have same hope that The name of Nokia as a Brand will still exist on Lumia & Asha devices after this acquisition like today. And what will happen with nokianesia ? Back to the past, I met with Narenda Wicaksono from Nokia Developer Indonesia on twitter, I asked him to sent several application list that developed by Indonesian developer because of i need for reviewing the applications. 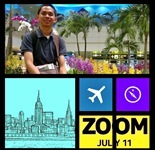 After that, I created Symbian3_ID on twitter & blog together with Prasetyoh and Reza to provide some news, information, application review on early 2011. 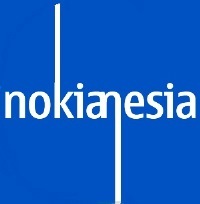 By the end of 2011 we changed our identity to became nokianesia and start from January 1st 2012, Symbian3_ID became nokianesia officially. our goals is totally clear, we want to provides the latest news and information about Nokia things, we do some review of the local applications-post to our blog-and brings the information to the world, we want to help the end user to give some information, tips and tricks so they can get full experiences with their Nokia devices, we want to have Nokia community in Indonesia that will have "care" with their devices and Nokia, we want to have a blog that can provide all the things about Nokia (I've learned a lot from mynokiablog.com and symbiantweet.com) and the last but not least that we want to make an awareness to all Nokia User for not using illegal applications on their Nokia devices. nokianesia is still nokianesia and still together with all Nokia fans, especially in Indonesia. We will not change our name, our identity to anything. We still continue to brings all the things about nokia, at least until the brand of Nokia is still being used by Microsoft for their upcoming Lumia & Asha devices. Feel free to write down your comments, thoughts, opinions below.